If you are like most people, you're running around trying to keep up with the pace of life, perhaps downing multiple cups of caffeinated beverages throughout the day. When did life become so hectic, you might ask? Well, you are not alone. Few people drink enough water to stay properly hydrated all day; unless they make a conscious effort to do so. 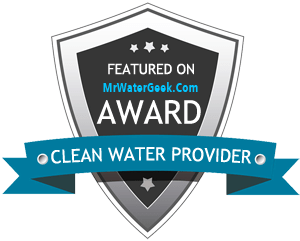 Of course here at Clearly Colorado, we believe the best way to ensure you get the water your body needs is to have Clearly Colorado bottled water delivery to your home or office so clean, fresh-tasting water is always at your finger tips. But, as they say, you can lead a horse to water... Some people just have a hard time getting the water delivered from their glass to their lips. If that describes you, keep reading to learn that it's really not hard to "trick" yourself into drinking more water every day. Below are some tips to help you jump on board the water train and take it straight to hydration station! It’s strange but true, that novelty Chia Pet gift is now considered a nutritional super food. Chia seeds and their incredible ability to hold water make them a hydrating powerhouse with many other health benefits too. If you are looking to boost the benefits of your water, give Chia seeds a try. It might at first seem like a new and unusual food to you. But before you know it, chia could be a regular part of your diet. Water vs. Gatorade: What's the Best Hydration for Colorado Athletes? If you are hiking the Manitou Incline, or if you’re an athlete hoping to join the Olympic athletes training here in Colorado Springs, the intensity of your exercise may have your body screaming for electrolytes and carbohydrates. For those who play sports regularly, the question often comes up: which is more beneficial for you while exercising, Gatorade or water? The answer is: that depends on you — the type and duration of your activity, and what you put into your body before you exercise. You need to start out well nourished and well hydrated. Excited about your new Keurig coffee maker? Keep the joy of your Keurig around by taking proper care of your machine. According to the Keurig website, Keurig brewers are made to be used at elevations up to 6,000 ft. This means that if you live in the Colorado Springs area, your Keurig coffee maker may need a little care to stay working at its best.